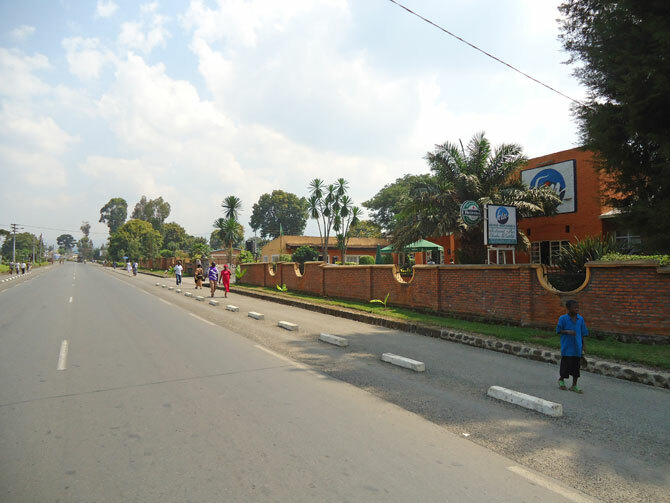 Muhabura Hotel is found opposite the Musanze District headquarters on your way out of town on the main road to Rubavu (Gisenyi). You will find it on the right hand site after you have passed the Bank of Kigali building. Transport takes around a two minutes drive from down town. In addition, it takes about 20 minutes to reach the Volcanoes National Park Headquarters for the Mountain Gorillas, the Dian Fossey grave, Golden monkeys or the spot to start mountain hiking.